Refine your master bedroom with a bed that will not only provide an aesthetically pleasing focal point, but will provide function as well. The sleigh headboard features a wood panel design that conveys warmth. Two storage drawers are incorporated into the footboard, allowing you the opportunity to store extra linens, throw blankets or clothes. Give your bedroom a warm and inviting feel with this beautifully crafted bed. 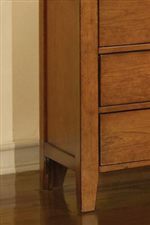 The Vintage Queen 2-Drawer Storage Bed by Winners Only at Crowley Furniture & Mattress in the Kansas City Area: Liberty and Lee's Summit, MO & Overland Park, KS area. Product availability may vary. Contact us for the most current availability on this product. The Vintage collection masters the art of classical design with quality craftsmanship. 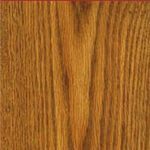 Featuring a stunning vintage oak and vintage cherry finish, this collection is sure to give your home that welcoming, warm, and friendly factor. With items for both the bedroom and dining room, you can make sure your whole home reflects timeless design. Traditional influences of classic moldings, simple lines, and arrow back spindle design brings the vintage past time feel to life. This collection will certainly make wonderful hand-me-down furniture pieces for generations to come. The Vintage collection is a great option if you are looking for Transitional furniture in the Kansas City Area: Liberty and Lee's Summit, MO & Overland Park, KS area. Browse other items in the Vintage collection from Crowley Furniture & Mattress in the Kansas City Area: Liberty and Lee's Summit, MO & Overland Park, KS area.